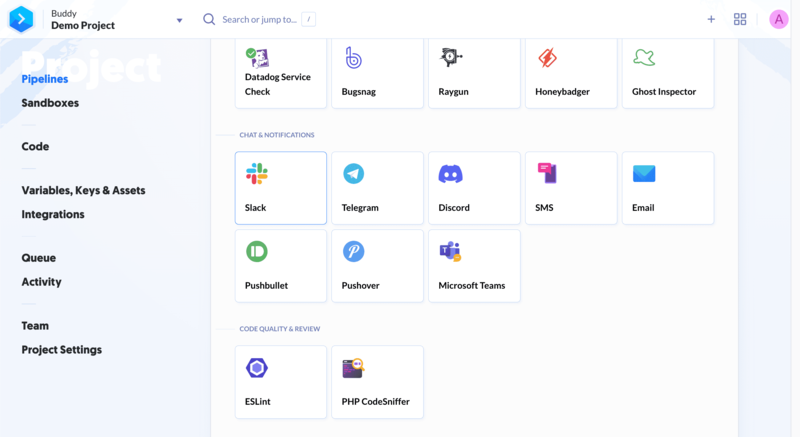 Integrating Buddy with Slack will keep your team updated with automatic notifications on finished builds and deployments to a Slack channel. You can also use it to trigger and get the status of your pipelines with slash commands. This is the list of commands that you can execute from your Slack window. The [name] parameter represents the name of the command entered in the Slack integration.